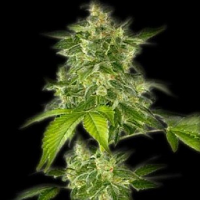 Roadrunner #2 Auto Feminized Cannabis Seeds by Dinafem Seeds: Roadrunner #2 is following the steps of our first automatic, maintaining some of the characteristics of the original strain of Roadrunner,- its speed and stability- but adding new aromatic tones, more vigorous growth and a reinforced relaxing, psychoactive effect. This improves the original strain, making it yield a more vigorous harvest, improving flower and resin production and providing a more intense, sweet taste of Indica with a lemony hint of fruit.Roadrunner#2 is more vigorous than it predecessor, with larger flowers and impressive production of resin that is characteristic of this automatic strain. The genetic origins of Roadrunner#2 are based on our Roadrunner, which was repeatedly crossed with a very special stock of Joint Doctor’s Diesel Ryder, an automatic variety that was selected thanks to its taste and its productivity. This stock consisted of a specially selected group of what we considered the best male and female samples of this variety. 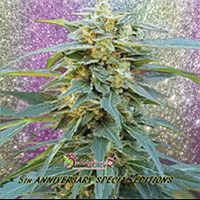 The best male sample in the group was then chosen for breeding and the result is a magnificent hybrid, vigorous and aromatic with intense fruity taste. 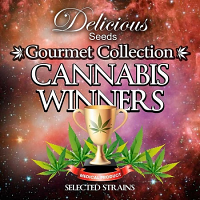 The strength of this variety is quite good, enough for mild consumption for relaxing, as the psychoactive effect is compensated with a physical relaxation. The effect it produces is therefore a physical and cerebral mixture. Automatic plants tend to produce an elevated amount of CBD which soften the effects of the THC and increase the feeling of relaxation, a relaxing effect, a good flavour, and moderate productivity. Roadrunner#2 tastes great it has the right amount of strength.